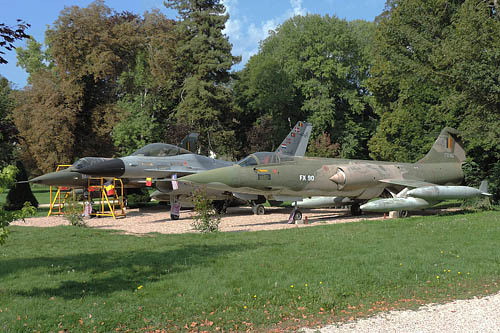 As usual almost every year, on the way to the South of France for some vacation, I made a stop midway at Savigny-les-Beaune to have a look on the museum situated in the wide park surrounding the big castle of a wine producer, Mr Michel Pont. 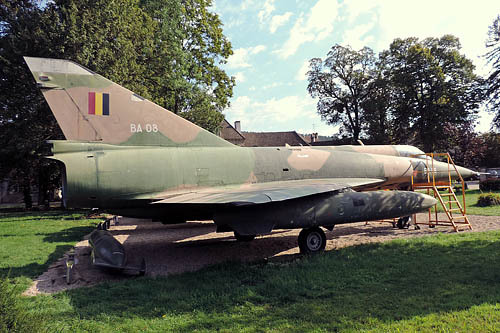 I already knew that he had bought several former Belgian military aircrafts and especially a Mirage V BA-08 which means a lot to me as I made his last flight on January 13, 1994 landing it at Weelde for storage. 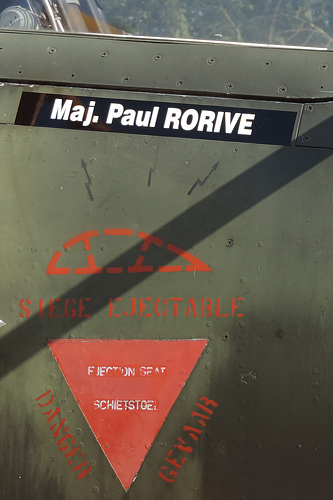 It was also my last flight on Mirage before taking a new assignment as CO 7 Sqn in 9 W Trg (St Truiden). 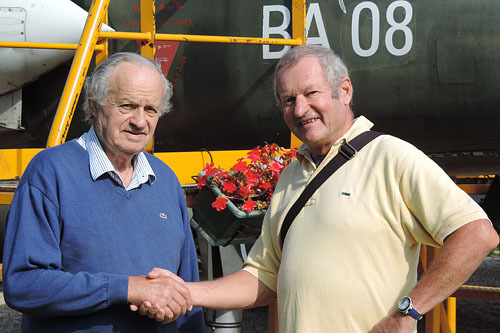 But this year, passing there at the beginning of September, I had a double surprise. 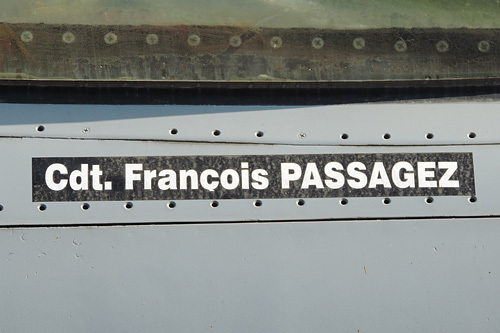 The Mirage was still in a good position in front of the castle but I saw my name on it! 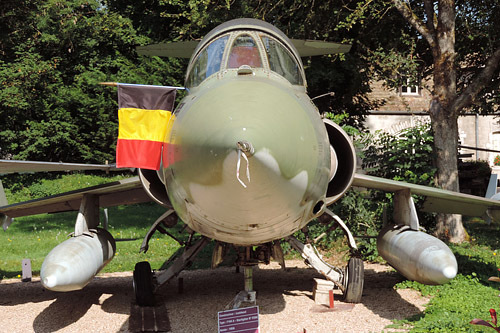 Furthermore it was there previously beside a French Jaguar. 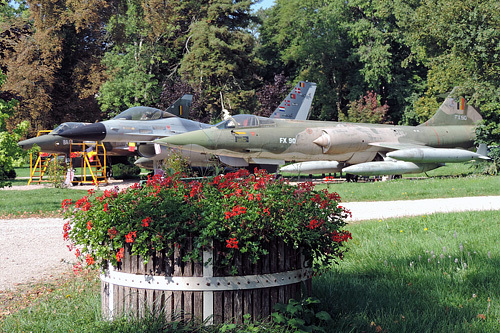 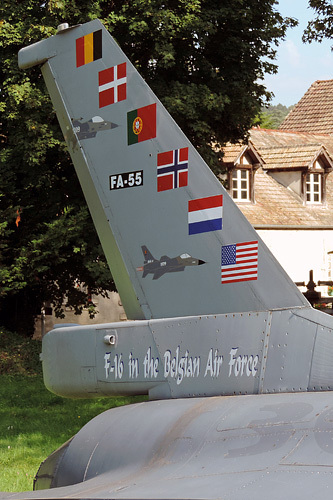 But this time, I discovered a full Belgian corner with an F-104G and an F-16A! 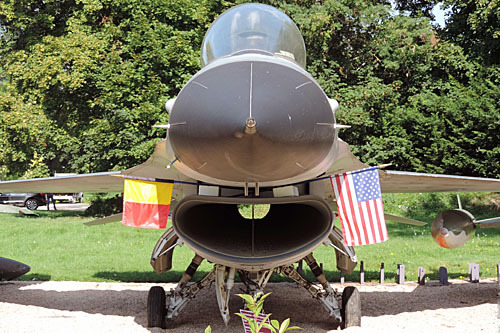 I met the owner, Mr Pont who told me that he had been looking for years for an F-16A to complete his exhibition; thanks to Gen Vande Voorde and the US Military Attaché in France, he succeeded in acquiring this former Belgian F-16. 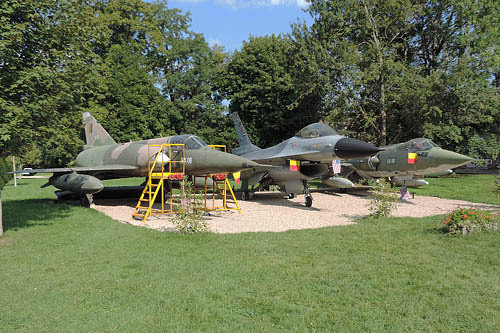 He is really proud of it because he is the only one in France having an F-16A in his collection! 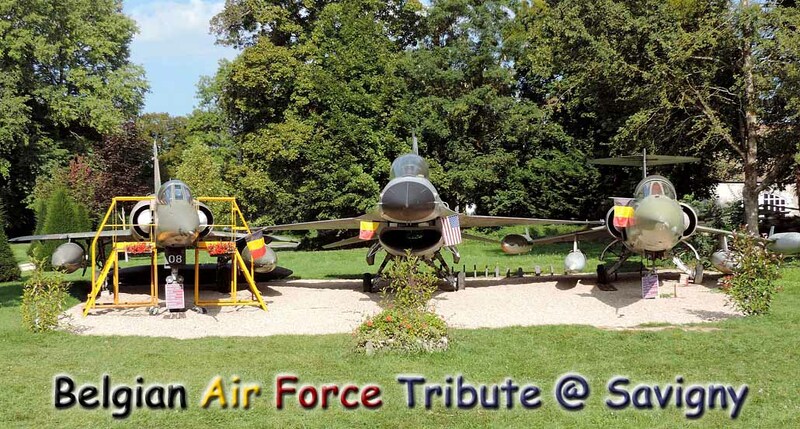 As he told me “Even the National Aircraft Museum in Le Bourget doesn’t have any”.